Aviation Updates Philippines - The Philippine National Flag Carrier, Philippine Airlines, is relaunching flights to the Big Apple, New York City after the 17 years of absence. According to Philippine Airlines' statement, the carrier will be launching the New York service on March 15, 2015, coinciding with the carrier's 74th Founding Anniversary. The four-times-a-week service will be the longest route of Philippine Airlines with the total distance of 14,501 kilometers or approximately 16.5 total flying hours. The Manila-Vancouver-New York service will arrive at the New York's John F. Kennedy International Airport Terminal 1. Philippine Airlines Flight PR 126 departs Manila every Tuesday, Thursday, Saturday and Sunday at 11:50 p.m. Arrival in Vancouver is 8:50 p.m. on the same day. After a two-hour transit stop, the service continues on to New York at 10:50 p.m., touching down at Terminal 1 of JFK International at 7:00 a.m. the following day. The return service, Philippine Airlines Flight PR 127, departs New York at 11:00 a.m. every Monday, Wednesday, Friday and Sunday, arriving in Vancouver at 1:50 p.m. It departs the Canadian city at 3:20 p.m. and lands back in Manila at 8:35 p.m. the following day. The carrier will be sending its Airbus A340-300 for the Manila-Vancouver-New York route and vice versa. The Airbus A340-300 is capable of seating 36 passengers in the Business Class and 218 passengers in the Economy Class. 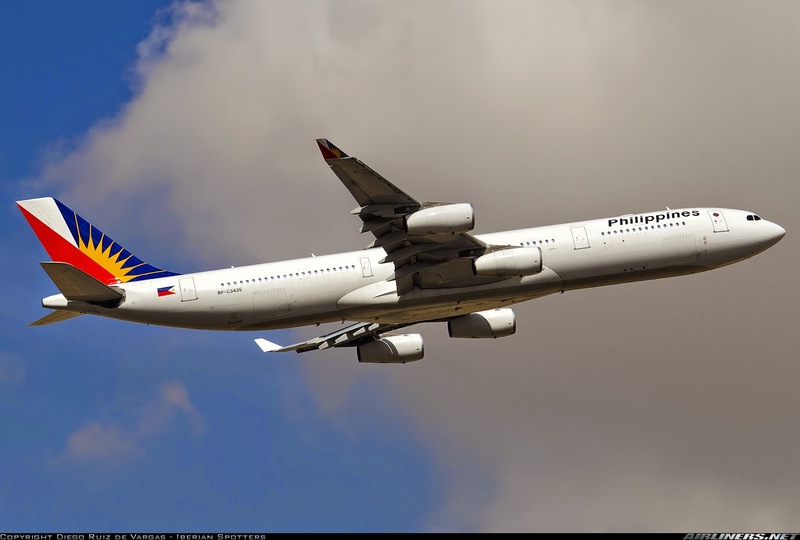 Philippine Airlines' fleet operates 9 Airbus A340-300s. On board, passengers can expect to be pampered with PAL's signature “at home” in-flight service, which features business class seats that convert to full-flat beds; in-flight entertainment system such as audio-video on demand in business, and gourmet cuisine designed by top international guest chefs. The New York service will have the added benefit of boosting PAL's Canadian operation. From March 15, 2015, the current daily service between Manila and Vancouver will spike to 11 flights weekly with three departure times from Manila (mid-afternoon, early evening and late evening) This provides wider schedule choices to passengers. Flights between Manila and Toronto will also be increased to four weekly flights for the peak summer period out of Manila. However, this relaunch of New York flights is anticipated by every Filipino-American community along the U.S. eastern seaboard ever since the flag carrier pulled out of the region in 1997. According to Philippine Airlines, about half a million ethnic Filipinos reside on the East Coast, with over 253,000 in the New York-New Jersey metropolitan area, 90,000 in Virginia, 75,000 in Washington, D.C. and environs, and 31,000 in the Philadelphia metro area. Overall, Filipinos on the East Coast account for 15% of the estimated 3.4-million-strong Filipino population in the U.S., comprising a natural base market for PAL.